Habits are funny things. The reason that they are so useful is because you barely know you have them! When I introduce Habits of Mind to students I always begin with the idea of what a Habit is. There’s lots of great and easy to use resources for this. One of my favorite resources is the Mindful Garden of Verses. As well as including a poem for each Habit of Mind, this wonderful little book also includes a lovely summary of Habits in the opening poem: What is a Habit? Once you have a habit it’s very hard to lose. 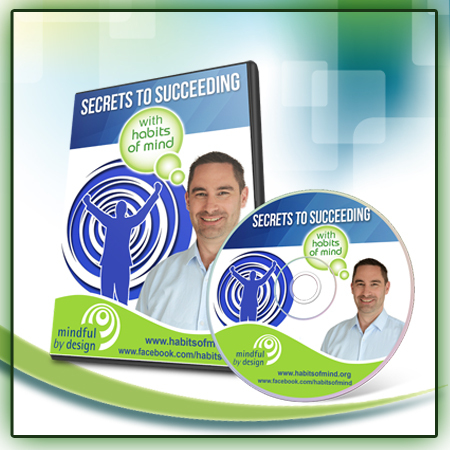 They are habits for your mind – that’s right – just for you. You’ll be welcoming great habits into your home. Notice how the poem talks about the nature of Habits: they are good and bad; you can choose them; they are automatic and learnable. I am your constant companion. I am your greatest helper or your heaviest burden. I will push you onward or drag you down to failure. I am completely at your command. Half the things you do, you might as well turn over to me and I will be able to do them quickly and correctly. I am easily managed – you must merely be firm with me. Show me exactly how you want something done and after a few lessons I will do it automatically. I am the servant of great individuals and, alas, of all failures, as well. Those who are great, I have made great. Those who are failures, I have made failures. I am not a machine, though I work with the precision of a machine plus the intelligence of a human. You may run me for profit or run me for ruin – it makes no difference to me. Of course the other question that always gets asked about Habits is how long does it take to form a new Habit? And the answer is…. I have no idea! Common answers include 21 days; 100 repetitions and even never. My answer is always that it just depends. It depends on how important forming the new habit is to you, how complex the habit is, whether you need to displace old habits or not… there’s lots of factors, as the video below neatly illustrates.